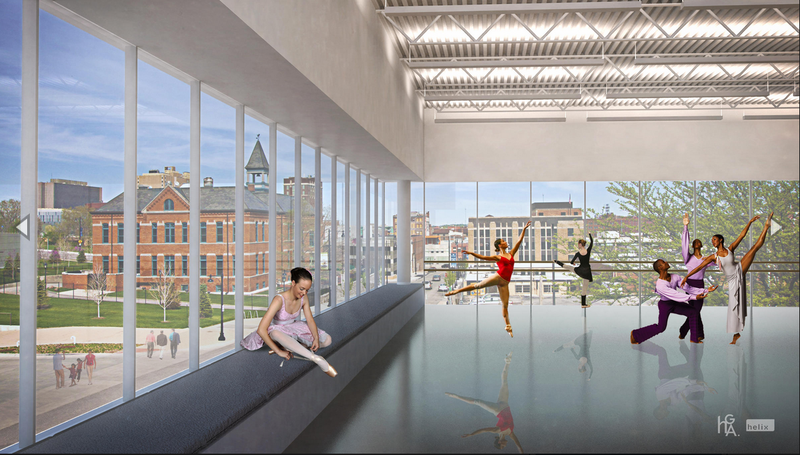 A rendering of the dance space at the proposed UMKC Conservatory of Music and Dance's Downtown Arts Campus. Update: This story was updated at 4:00 p.m. to include Missouri Governor Eric Greitens' veto statement. Despite gaining approval from the Missouri House and Senate for $48 million in state bond funding for its proposed Downtown Campus for the Arts, the University of Missouri Board of Curators announced today that it would instead "develop plans for an alternative funding match ... rather than seek funding from the state under the 50-50 matching program for capital projects." Hours later, Gov. Eric Greitens vetoed the legislation anyway. It was Greitens' first veto. The Missouri House approved the legislation by a vote of 117-39 in March, and the Senate approved it by a vote of 28-4 in April. Greitens had until July 14 to sign it. But as weeks passed without the governor's signature, Arts Campus supporters reportedly grew increasingly anxious about the measure's prospects. Meanwhile, the University of Missouri System announced dramatic budget cuts involving hundreds of faculty and staff layoffs across all of its campuses. In a news release Wednesday morning, university officials said "details of the financial plans for the $96 million construction project and the $2 million operating costs are being developed without reliance on state funding. 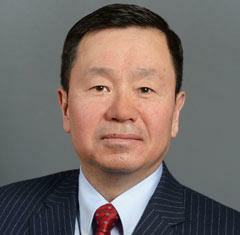 These plans will be presented for approval to the Board of Curators at the September meeting." “This approach will allow construction to begin sooner and save money by avoiding construction cost inflation on a project that will benefit the students of UMKC, the people of Kansas City and the state of Missouri,” UM System President Mun Choi said in the statement. Despite the University System's announcement, Greitens made his own, saying he was vetoing a bill that "would put taxpayers on the hook for over $75 million to build and run a conservatory for dancers and art students." Greitens said he was "ready to fight" the politicians who had overwhelmingly supported the legislation. "You know who would have to pay that bill? You. Missouri families. I think that's wrong," Greitens said. "I'm a conservative outsider. And I told you that I'd act as a budget hawk and protect your money. And that's what we're doing. We've told leaders across government to do more with less tax money, and to get better results." University leaders' earlier announcement was "the really good news," Greitens said. "I have urged the leaders of Missouri's universities to think and act different, to prioritize, and to make tough decisions to take Missouri in a new direction. And they are taking a stand. Today, the President and the Board of Curators of the University of Missouri System announced that they don't want any additional taxpayer money to pay for a conservatory. Instead, they’ve committed to develop a detailed plan to pay for it by making tough budget decisions and using private funds along with strong leaders in the Kansas City community. That’s how it should be." Reached by phone after the announcement Wednesday morning, UM System spokesman Christian Basi told KCUR that concerns about Greitens' level of support for the project had "not come up in conversations" about the new funding approach. "The legislation was designed to authorize state funding for project, but the current legislation would not commit specific state funding to the project — that would need to be decided by later budget bills," Basi said. "We also understood the various financial challenges that were facing the state and believed this action would help us start construction sooner." Basi said funds would come from within the University System and from UMKC through "re-allocation of resources," and potentially from external sources. The university's news release said the "new funding mechanism would honor and preserve" pledges of $48 million from donors, including a $20 million gift from Julia Irene Kauffman on behalf of the Muriel McBrien Kauffman Foundation. Choi and UMKC Chancellor Leo Morton thanked "the many donors, civic leaders and state legislators who have labored tirelessly to move the Downtown Arts Campus project forward." 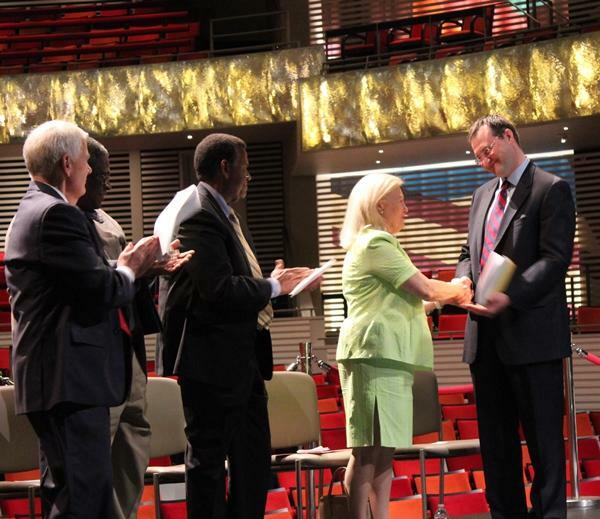 "The Downtown Arts Campus will be a critical element of our performing arts community. It needs to happen,” Kauffman said in the statement. “That's why I have supported it, and that's why I am so grateful to Chancellor Morton and President Choi for taking this bold step to make it a reality. They are providing leadership when we need it most." The news release also included a statement from Kansas City Mayor Sly James, who said he was “grateful to the business and civic community for prioritizing the state funding for UMKC’s conservatory during this legislative session and for the bipartisan support this project received” and that he looked forward to helping make the project happen. The Missouri Senate has voted to approve $48 million in funding for a new downtown campus for the UMKC Conservatory of Music and Dance. 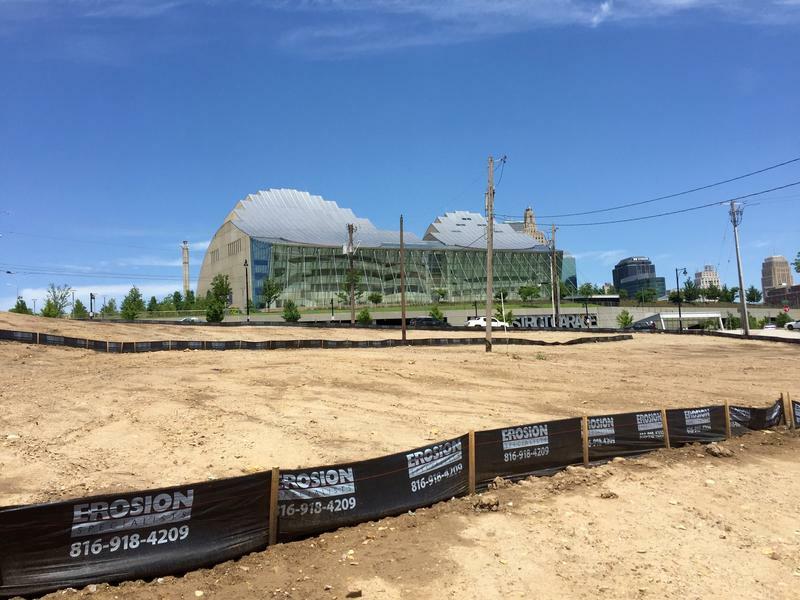 The $96 million project, which would relocate the UMKC Conservatory of Music and Dance to the block immediately south of the Kauffman Center for the Performing Arts, is seeking $48 million in state bond funding to match private and city contributions already lined up. Supporters of the proposed downtown University of Missouri-Kansas City campus for the arts have enlisted Warren Erdman, a savvy veteran of Missouri politics, to lead the lobbying effort for $48 million in matching state funds. “Warren has been fantastically supportive since early on,” says Dean Peter Witte of the UMKC Conservatory of Music and Dance. It’s been two years since officials at the University of Missouri-Kansas City unveiled a plan for a downtown arts campus, which would relocate the UMKC Conservatory of Music and Dance. On Wednesday, the Muriel McBrien Kauffman Foundation announced a pledge of $20 million to support the effort.